Charlo Lady Viking Carlee Fryberger is all smiles as she, along with running mates Kaitlin Cox and Allie Delaney, finish first, second and third in the 100-meter hurdles. 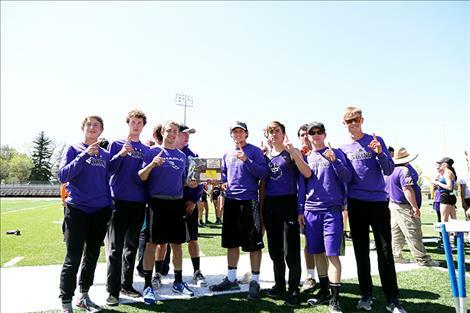 The Charlo Vikings track team poses with their first place district 14C trophy. The Charlo Lady Vikings track team poses with their first place district 14C trophy. Charlo Viking Landers Smith leads the pack in the 4x100 relay. 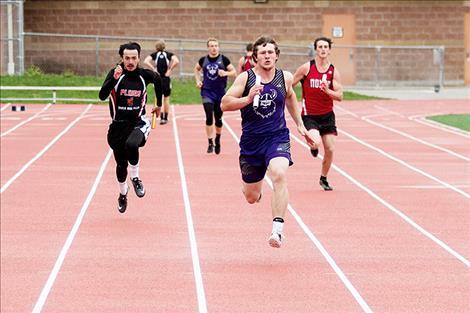 MISSOULA – The Charlo Vikings boys and girls both won the District 14C Track and Field Championships in Missoula on Friday and Saturday, with the Viking boys taking the District 14C title for the 16th consecutive season. Winning multiple titles for Charlo were Tyrah Hammond in the 100-meter (13.30), 200-meter (27.37) and 400-meter (1:02:81); Destiny Manuel in the 800-meter (2:42.72) and 1600-meter (6:26.12); Carlee Fryberger in the 100-meter hurdles (16.24) and triple jump (35-1.75); Landers Smith in the 100-meter (12.04), 200-meter (24.50) and pole vault (12-0); Toby Odom in the 110-meter hurdles (17.56) and in the 300-meter hurdles (43.64) and rounding out the multi-title winners for the Vikings, Wills DeGrandpre in the 1600-meter (4:50.45) and in the 3200-meter (10:47.51). 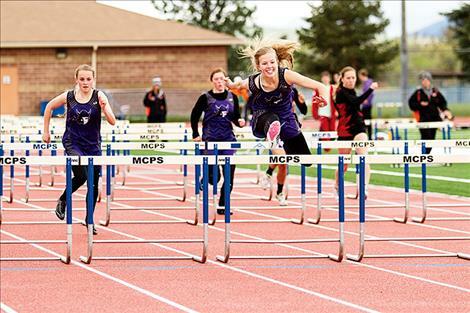 Also winning individual titles were Allie Delaney in the 300-meter hurdles (52.00), Kira McPhail in the high jump (4-6), Kaitlin Cox in the long jump (16-1.5) and Bridger Foust in the 800-meter (2:14.38). The Vikings swept the relay races with the girls wining the 4x100 in a time of 52.57 and the 4x400 in 4:36.53, while the boys notched times of 46.35 in the 4x100 and 3:44.92 in the 4x400. 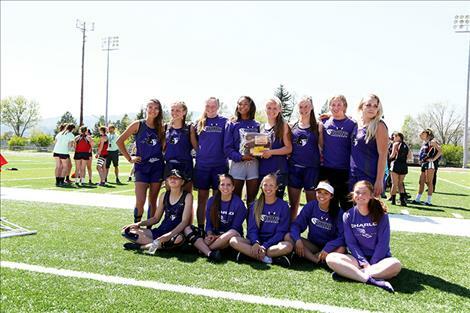 Among the state qualifiers for Charlo were event champions Carlee Fryberger in the 100-meter hurdles and triple jump, Kaitlin Cox in the long jump, Landers Smith in the pole vault as well as the girl’s 4x100 relay and Kaitlin Cox in the triple jump. Arlee finished fourth in girls and the fifth in boys in the team standings. 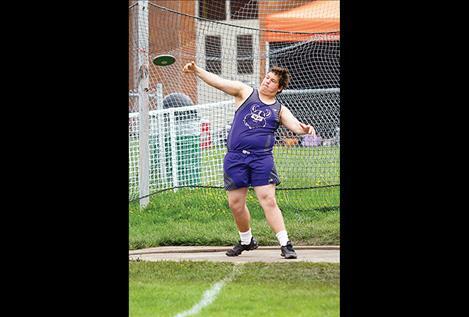 Capturing titles were Arlee’s Shawntaya Nelson in both the 3200-meter (14:01.61) and pole vault (8-9); and Peyton Lammerding in the shot put (33-0.5). Arlee's Shawntaya Nelson qualified for state in the pole vault. Class B-C Divisional will be held in Frenchtown May 17-18. Charlo and Arlee girls who finished in the top six of their events.